I absolutely love transitioning summer wardrobes to fall, especially for my boys. 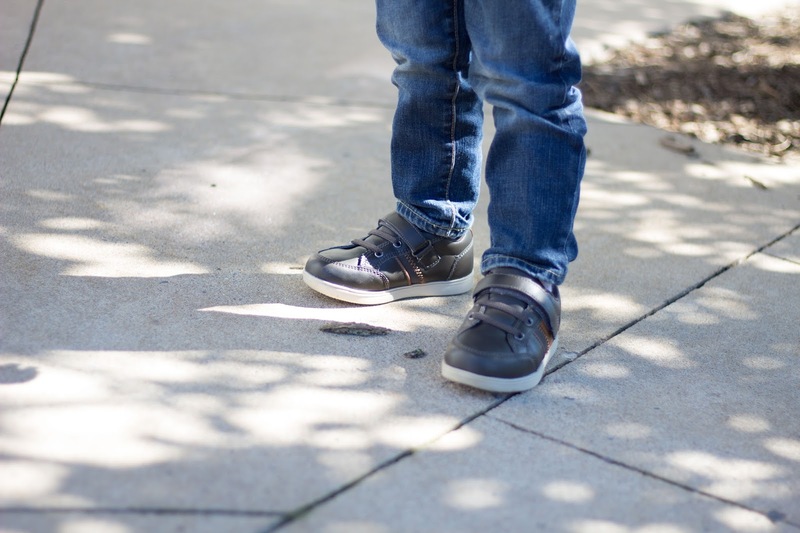 We got a glimpse of gorgeous breezy weather a few days ago, and took full advantage of having the boys try out their new back to school shoes from Payless Shoes. It made me excited for cooler temps and the gorgeous leaves this upcoming season brings. Then it hit about 11 o’clockam, and we had to grab the boys shorts from in the car. It was just too darn hot for jeans and layers! Haha! I love these simple cognac booties, perfect for fall transition. I plan on wearing them with an olive shirtdress and this floppy wool hat until temps cool down a bit. I’ve almost boughten almost identical versions of these shoes for over $100, and couldn’t believe they were only $35! Such a steal, and something ill wear all fall/winter long. Not to mention, I was pretty impressed with the boys shoes as well. They will look so cute paired with their new fall clothes, I just can’t wait. Have you done your Back to School shopping yet? Tell me your BTS must have below!